Established in July of 2008, Transitions Hair Salon just celebrated their 10th Anniversary! Since February 2015, Transitions Hair Salon changed our focus, from using Paul Mitchell Colour to Organic Colour Systems. Our staff and clientele are very enthusiastic about the positive changes at Transitions Hair Salon, and we look forward to bringing more environmentally friendly and health-conscious alternatives to our guests. At Transitions Hair Salon, we offer a full service hair salon experience, in a one-on-one atmosphere. We believe that the Environment should be respected and cared for, so we do our best to practice environmentally friendly alternatives to our everyday work, community and home lives. See our Environmental tab for more information on how we practice Eco-conscious routines in our salon. Enjoy our peaceful salon setting, our luxury hair-wash experience, and our “one at a time” approach. We guarantee that you will receive the best service possible, that your hair desires will be listened to & delivered to you, that you will receive a hairstyle that suits your personality & your hair wants & needs, and that you will enjoy a unique salon experience that suits your lifestyle. 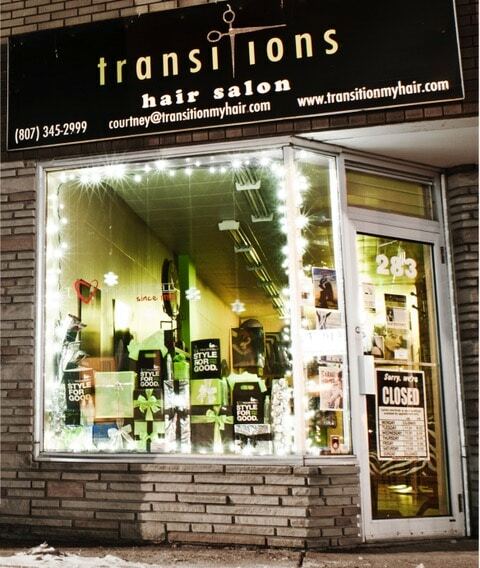 Located in the Historical Bay & Algoma Neighbourhood, filled with unique cafe’s, restaurants, boutiques and much more, Transitions Hair Salon is in the heart of all the action! 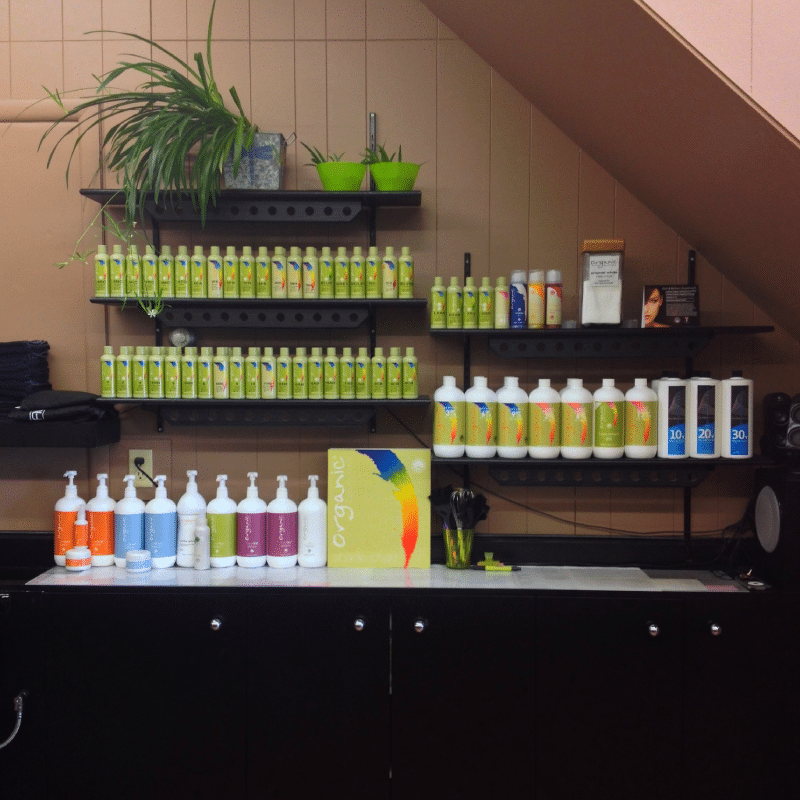 We offer a variety of hair services & retail items, to accommodate your hairstyle and at home hair care needs.